Mix the toughest materials with ease. 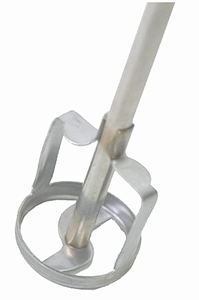 Jiffy Mixers are specially designed to mix liquids thoroughly without splashing or sucking of air. Made from 304 Stainless Steel and unpainted, they won't contaminate your material with debris or flakes of paint chipping off the mixer. They are easy to clean and will fit common "chuck" power drills. We've been using these mixers at Wood Essence for over a year and were so impressed with their performance that we decided to make them available to our customers across Canada. The specially formed mixing edges will thoroughly blend materials without creating uncontrolled aeration or splashing material (start mixer when fully submerged and stop before removing from material). We commonly mix custom tinted finishes in gallon cans filled near to the rim without any splashes! 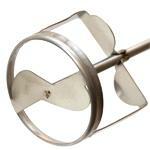 Jiffy Mixers have two sets of specially welded blades, one horizontal the other vertical. The vertical blades keep the mixing action between them, while the horizontal blades employ an exclusive hydraulic-flow principle that prevents sucking air. In addition, the horizontal blades pull the high density materials up from the bottom while forcing the low viscosity solvents down from the top. The leading edge of the lower horizontal blade will scrape the bottom of the mixing container into the mixing unit. 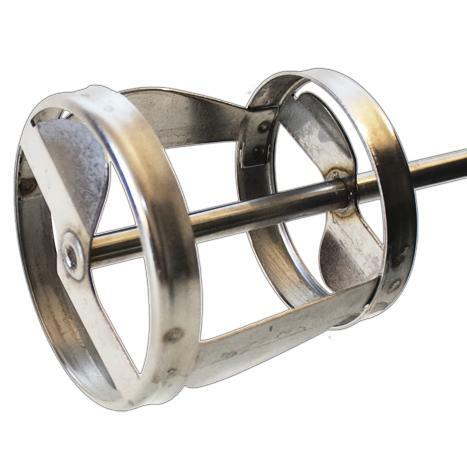 The ring encircling the lower blades protects the blades and the mixing container’s sides from damage. 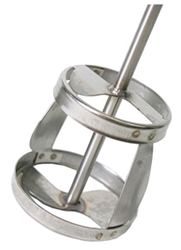 Jiffy mixers are available in different sizes to accommodate the smallest to the largest mixing jobs. Economical with improved mixing performance. Ideal for One Gallon Cans or light mixing in 5 Gallon Pails. Small size for Pints, Quarts or small containers. * Best Choice For 1 Gallon Cans. **Best Choice For 5 Gallon Pails.